Sri Ramachandra Murthy December 19, 2018 12:30 IST Protests again in Thoothukudi! Following the green tribunal verdict ordering the reopening Sterlite copper plant in Thoothukudi, the people of the city have been agitated, and have started to protest against the verdict. 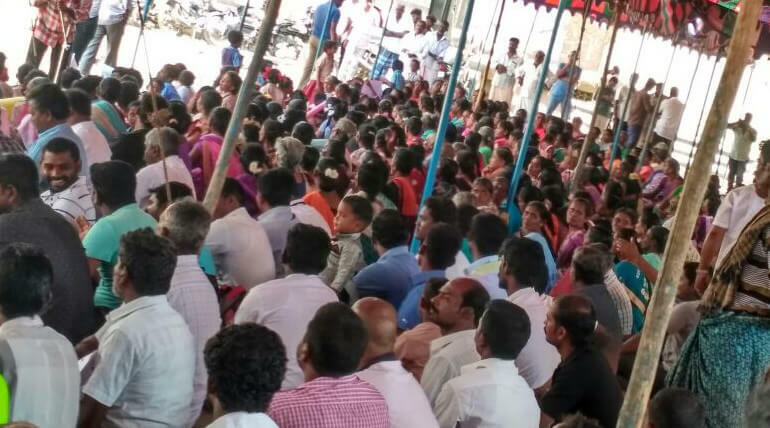 In Thoothukudi, the people of the city had conducted protests for 100 days, fighting against the banning of the copper smelter plant, and on the 100th day, the protesters had planned to surround the collector office in Thoothukudi and went on a march. During that moment the police opened fire, and in the shootout, 13 people were killed, and following this, the TN government, after facing severe backlash, sealed the plant permanently and closed it. The Vedanta groups which own Sterlite had filed a case against this closure in the Green tribunal. The green tribunal had ordered Vedanta to process the reopening of the plant, and the TN govt had appealed against the verdict in Supreme Court. However, the Supreme Court dismissed the TN govt plea, and said that the green tribunal verdict cannot be challenged. Following this TN Govt appealed at the Green tribunal but they dismissed the TN govt order to close Sterlite, following which the protesters opposed the move, and protests have begun once again in Thoothukudi.